Take the no-nonsense approach to taking your files with you. The USB 3.0 cable is backward compatible with USB 2.0 interfaces so you can access files from any PC. Get going right out of the box. Simply drag and drop to save files. Resourceful and reliable. Less energy. Less worry. Get all the little extras that matter. Digital photos, video and music files can tax your computer’s storage, causing performance to decline as its internal hard drive fills to capacity. 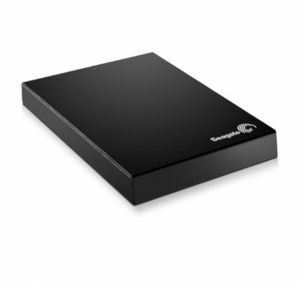 The Seagate Expansion external hard drive helps remedy this situation by enabling you to free up storage space on your computer’s hard drive.